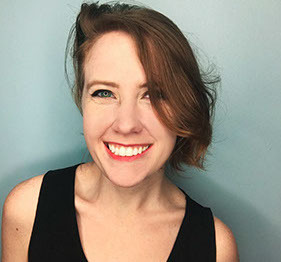 Ashley Poston is the author of Geekerella (Quirk Books, 2017), Heart of Iron (HarperCollins, 2018), and Princess and the Fangirl (Quirk Books, 2019). Her fangirl heart has taken her everywhere from the houses of Hollywood screenwriters to the stages of music festivals to geeked-out conventions (in cosplay, of course). When she is not inventing new recipes with peanut butter, having passionate dance-offs with her cat, or geeking out all over the internet, she writes books. She lives in small-town South Carolina, where you can see the stars impossibly well. 1. 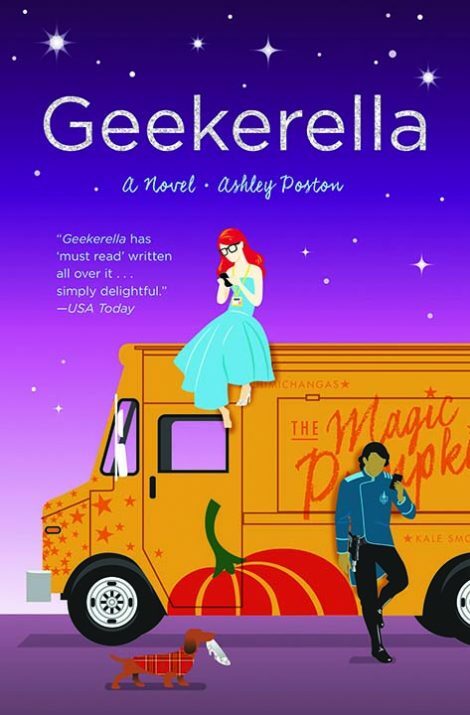 Geekerella is a modern retelling of the classic Cinderella fairy tale. Why do you think we reimagine fairy tales in modern contexts? What makes these stories continue to be popular for generations? 2. Do you think the story closely follows the original fairy tale? What changes did the author make, and what parts of the story did she keep the same? 3. How do you think Elle’s loss of her father has shaped her and the way she interacts with others? 4. Did you like that the story was written in the first-person voices of Darien and Elle? Did you feel connected to these characters? 5. Do you think the author’s depiction of Darien’s experience with celebrity was an accurate portrayal of what it’s like to be famous? 6. What did you think of the way the author incorporated text messaging into the book? Do you think that text messages and the internet have changed the way romance stories are written? 7. Catherine and the twins fulfill the roles of Cinderella’s evil stepmother and stepsisters. Did you sympathize with these characters at all? Can you understand Chloe and Cal’s motivations? 8. What did you learn from Sage and Elle’s friendship? Do you think that Sage represents Elle’s fairy godmother? 9. Starfield fans at ExelsiCon offer Elle pieces of their costumes as a thank-you to her late father for creating the convention. Why do you think this convention means so much to so many people? Do you have a meaningful community in your life, either online or in person? 10. What did you think of Elle’s review of the Starfield movie at the end of the book?